How do you document your projects? Do you keep a programmer’s notebook? As you write code, you will have ideas, notes, code snippets and other things that you have learned. You’ll want to keep code that you didn’t use and save for later. By keeping a programmer’s notebook, you’ll create a personal reference that you can use for other projects and documenting your code for your users. 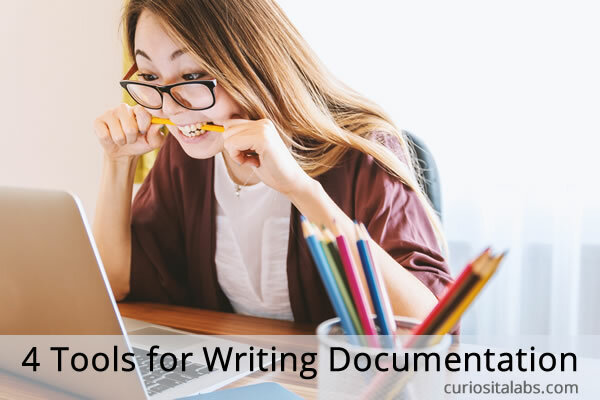 What tools do you use for writing documentaion? You can use pen and paper to create a bullet journal or collect your notes and ideas. If you want to use an app, I have collected 4 tools that you can choose from. Boostnote is a note taking app for programmers. You can take notes and collect code snippets. Boostnote is customizable and usable anywhere. You can write notes on your laptop and share with your mobile devices. 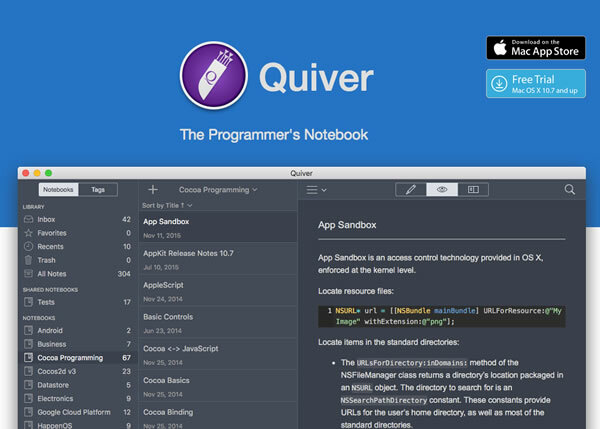 Quiver is a programmer’s notebook. You can mix code, text, Markdown in a note. You can install Quiver on your Mac and iOS devices. 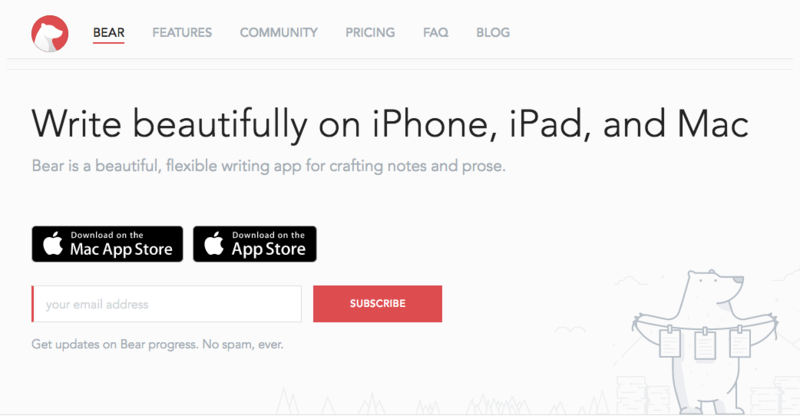 Use Bear Writer to create notes and prose. You can organize your notes any way you can. This app is available on your Mac and iOS devices. Write the Docs is an open source community dedicated to creating wonderful documentation. They provide guides on writing great documentation, conferences and meetups. Write the Doc is build using the Sphinx static site generator. Whether you use pen and paper or an app to document your projects, you’ll have a reference that can help you better understand the problems, solutions and things you have learned. Writing documentation for yourself or your users makes you a better programmer. If you want to write better documentation for yourself and your users, Mark has collected tools and resources for creating great documentation.